This amazing toy maker's shop is always closed when I go past it on my way from Gospel Oak overground to Anthony Nolan, where I volunteer on the web team one day a week. The windows are dusty but full of promise. The jumble of doll's houses, mechanical toys, rocking horses and the like are so evocative, a 'box of delights' of nostalgia and memory. I can't help peering in the window, it's a bit like one of those sentimental Victorian Christmas card scene of urchins gathered around shop windows. Maybe one day, I might magically find it open! I think this guy - possibly the best ever 'Weekender' in the Saturday Guardian, beating the usual Hoxtonite crowd that grace these pages - is connected somehow. Peacocks. Sunflowers. PreRaphaelite hair. Morris wallpaper. Du Maurier Punch cartoons. Liberty dresses. Yes indeedy, this is Essex, Chelmsford in fact. Such pretty buildings and a lovely river too. Enough wisteria to cheer any heart. 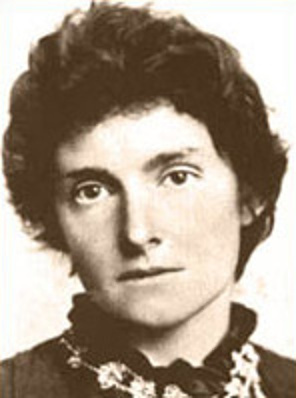 - starting to obsess over Edith Nesbit and the Fabians ... "Sounds like a rock band" - thanks Dad! - and picking up gems for the Butterfly Mind Vintage Etsy shop.